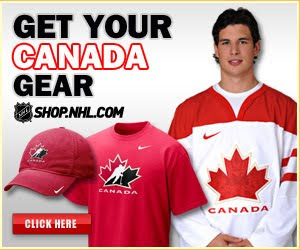 Have any of you noticed the new Olympic (NHL-specific) merchandise that they've started advertising lately? 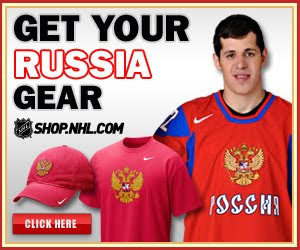 I noticed it the other day on the Pens webpage with Crosby in his Team Canada jersey as well as Malkin in his Team Russia jersey (pics below). I already bought my Crosby Olympic name / number t-shirt (I'm an American girl ... can't spend the big bucks on a jersey for a nation I'm not rooting for ... saving the money to spend on a Team USA Orpik jersey, hopefully!)!! I'm anxious to also pick up name / number shirts for Malkin and J. Ruutu, but I'm not sure they'll be selling them ... as of right now, they're not available, so we'll see (and I'll let you know or you can let me know if you happen to know of where I can purchase them!)! !